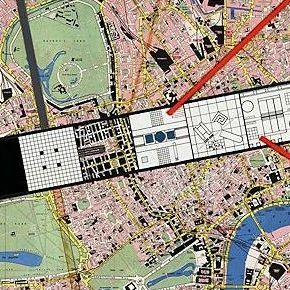 In the same year, 1971, Manfredo Tafuri presented the first in a series of even more idiosyncratic studies of the Carceri, seen as a "negative utopia." He is still pursuing this theme, not greatly regarded by scholars, though greatly admired by architects of intellectual pretension. Another field of investigation that has now become something of a cult is the analysis of masonic themes in Piranesi's work. 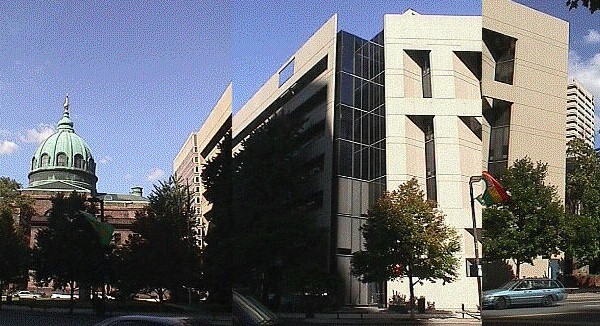 Mitchell/Giurgola Architects, United Way Headquarters Building (Philadelphia, PA: 1971), images: 2003.09.10. Venturi and Rauch, Office Building (California City, 1971). 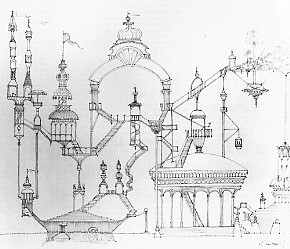 Charles W. Moore, Fantasy with Fish (1971). 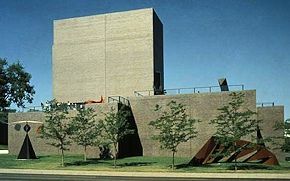 Edward Larrabee Barnes, Walker Art Center (Minneapolis, MN: 1968-71). 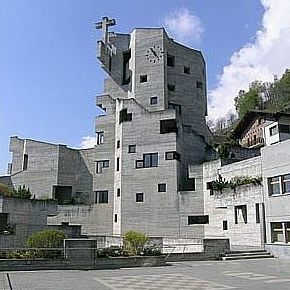 Walter Maria Forderer, Saint-Nicholas (Heremence, Switzerland: 1962-71). Kiyonori Kikutake, Floating City Project (Hawaii, 1971).